This is a comedy centered around a 29-year-old that still lives with his mom. 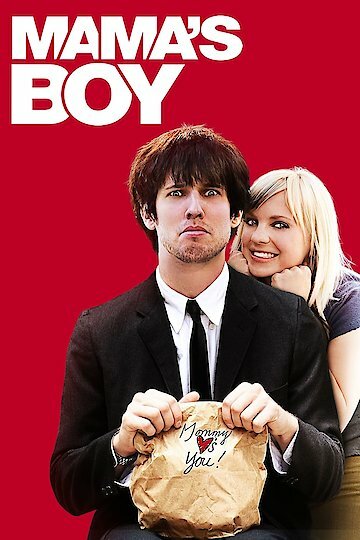 The movie goes into details about the mom meeting a boyfriend and the son (mama's boy) becomes jealous. The son feels that the boyfriend is "stealing" his mom away from him. The son meets a female that joins forces with him in order to push the boyfriend out of the picture. This causes a breakup between the mom and the boyfriend and subsequently ruins the friendship between the son and his new mate. Eventually the son realizes what he did was wrong and works to get his mom back together with her boyfriend. Mama's Boy is currently available to watch free on Vudu Free and stream, download, buy on demand at Amazon, Vudu, Google Play, FandangoNow, iTunes, YouTube VOD online.